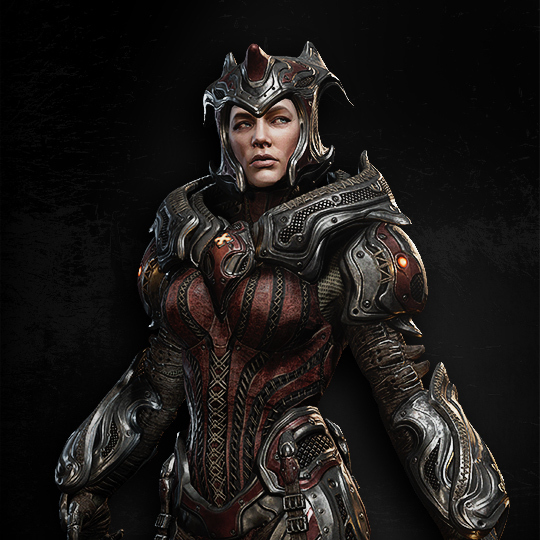 Myrrah is the leader of the Locust. She was first introduced in Gears of War 1 as just a voice in a few key scenes, but she was given a slightly larger part in Gears of War 2 and a much larger part in Gears of War 3. She was killed at the end of the latter by Marcus Fenix with Dom's blade. Three to five years before Emergence Day, Adam Fenix promised that he would help Myrrah deal with the Lambent who were at war with the Locust below Sera. However, Adam failed to help her in time, so the Locust emerged on Sera's surface and killed a quarter of the human population in one day. They have since killed almost all of humanity. Myrrah claims the Locust don't necessarily want to kill humans, but she doesn't believe people would have let them live in peace.